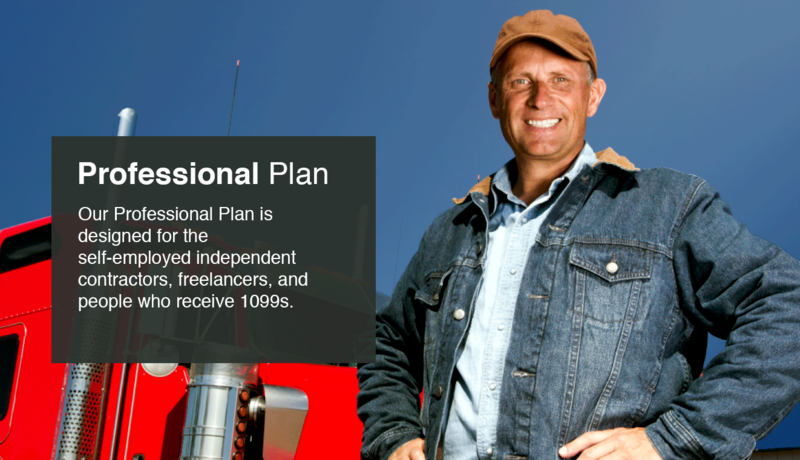 Our Professional Plan is designed for the self-employed – independent contractors, freelancers, and people who receive 1099s. Should the unfortunate happen, you are covered with $1,000,000 of identity theft protection insurance. That means your important financial interests remain protected from criminals should the unfortunate occur. Proper Profit and Loss reports are essential to making sure you’re not paying too much, or too little, in taxes. With our team preparing your P&L reports, you’ll have peace of mind knowing that your revenue and expenses are being properly categorized and calculated. If you’re self-employed or a contractor, staying on top of your tax situation begins with accurately estimating your quarterly tax withholdings. Our Tax Professionals will handle this for you every quarter, providing you with guidance on how to stay compliant. Should the IRS audit a filing that we have prepared, Optima’s tax professionals will be there to help you. Our team has experience handling every type of audit, so you can rest assured knowing that you’ll have a qualified team on your side to assist you through the process.